1. 29 days. That's how long is left until our trip to Germany. I can hardly believe it...but I'm insanely excited. The last 10 times we were over there, I wasn't really that interested in photography - but now? Half the reason I'm so excited is because of all the great photos I'll be able to take. I think I'm going to die from the anticipation. Eek! 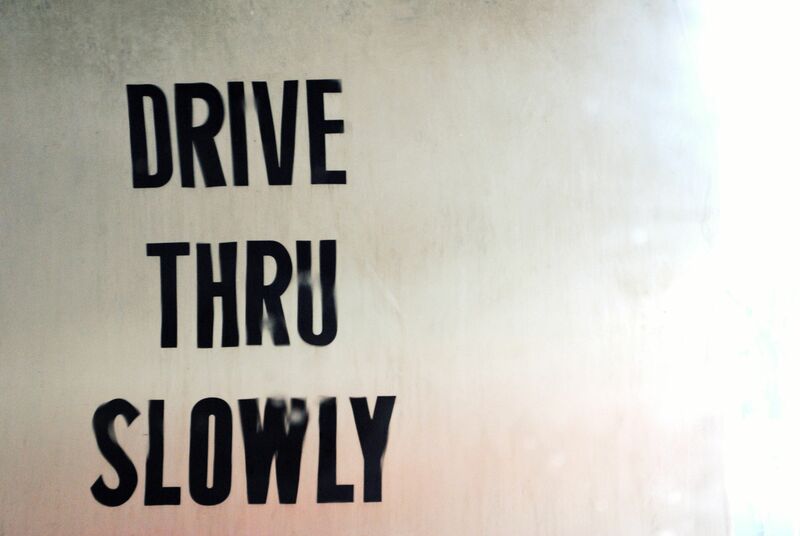 2. car wash. I went through one for the first time a few days ago. Is that bad? I had a blast. What can I say...I'm entertained by the simplest things. 3. it's hot. It's really, really hot. It's so hot that the flowers wither within a few hours, you gasp from the oppressing heat, and it makes you super, super thankful you have a working a/c. I normally don't look forward to the fall, but this summer...I may be anticipating its coming just a bit. 4. spider webs and dew. I've seen pictures and heard of dew covered spider webs, but I'd never really seen them - until today. It was breathtaking. 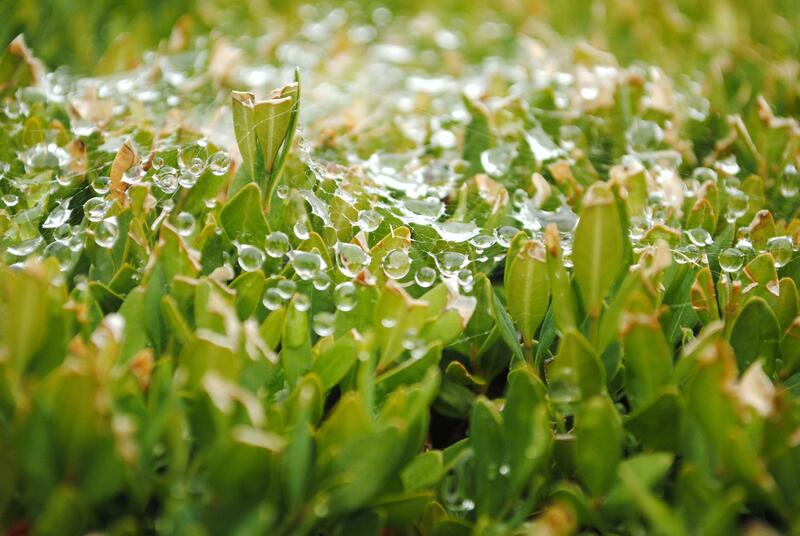 The fine, tiny threads of web laden with fat, perfect droplets of water. Gorgeous. 5. apples to apples. While we'd all played it before, we didn't own Apples to Apples until a few days ago. Jeremiah, MeMe, and I played the first game with the new set. There's an on going gag that the green cards you win describes you. The photo above is of all the green cards MeMe got...we were all cracking up! 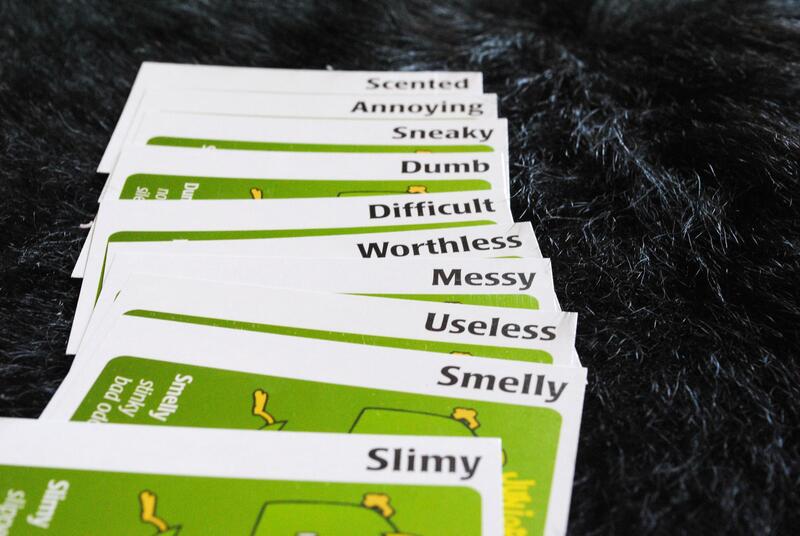 That's scented, annoying, sneaky, dumb, difficult, worthless, messy, useless, smelly, and slimy. It was seriously the funniest thing.